Cohen Seeks Restraining Order On Seized Files - Joe.My.God. 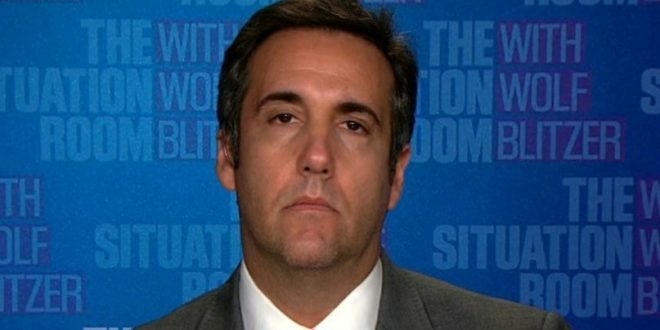 President Trump’s personal lawyer, Michael D. Cohen, is expected to go before a federal judge in Manhattan on Friday challenging the Justice Department’s seizure of documents related to Mr. Cohen’s decade-long legal representation of Mr. Trump that were taken in a recent F.B.I. raid. Federal Judge Kimba M. Wood of United States District Court has scheduled arguments for Friday morning in what will be the first public hearing related to the contentious search warrant carried out on Monday at Mr. Cohen’s office and hotel room. Nicholas Biase, a spokesman for the United States attorney’s office for the Southern District of New York, said that the hearing would address a motion for “a temporary restraining order filed by Mr. Cohen” concerning the search, but offered no additional details. NBC News: Michael Cohen is expected to ask a federal judge this morning for a temporary restraining order to stop federal invesitgators from reviewing and using documents and records seized during a court authorized search, U.S. Attorney’s Office says.